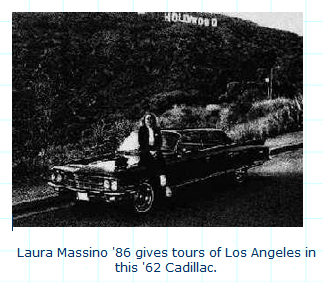 Graduating Class of 1986 – Architecture Tours L.A.
Laura Massino, Interior Design, runs Architecture Tours L.A., for which she gives tours of Los Angeles in a vintage ’62 Cadillac. 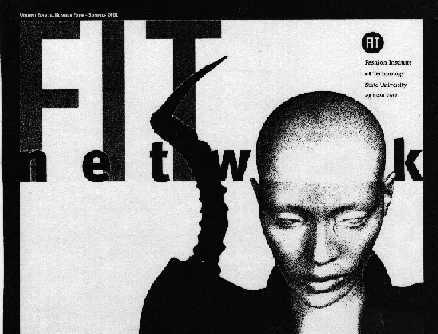 She got her master’s degree in Architectural History from California State University at Los Angeles in 1995. “For a while, I worked in art galleries,” she says, “and I did some interior design work, but I couldn’t find a design job that paid very well.” The architecture in L.A., particularly the work of Frank Lloyd Wright, inspired her to begin giving tours. “There were plenty of city tours, but none focusing on the architecture, “she says. Her business was featured in the July/August issue of Metropolitan Home magazine.